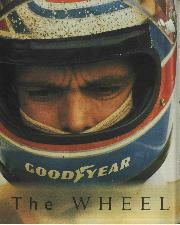 I’d known about the autobiography of Peter Revson for years, but never felt inclined to read it. Revson’s was a supporting role on the global motor racing stage: not a bit part for sure, but he was certainly no superstar either. Besides, Revson only got that far thanks to being a Revlon heir and along the way appeared to have acquired an ego of similar proportion. Why else call your autobiography Speed with Style? It was a book I could do without. It is commonplace for drivers who die before their time to earn a place in history based not on what they had accomplished, but what those close to them thought they might have gone on to achieve. So Chris Bristow was a world champion in the making, as were Ricardo Rodriguez, Tony Brise and many others. By contrast Peter Revson might have the unique distinction of being remembered as less of a driver than he actually was. It turns out all I thought I knew about Revson was wrong, even the reason behind the title of his autobiography. Forty years after he died testing at Kyalami, a reassessment is due. Still Peter couldn’t help but grow up in the privileged surroundings of White Plains, in New York’s Westchester County. Academically unremarkable, he applied himself in a way that would come to characterise his career, ending up at the Cornell University. He had two sisters, Julie Ann and Jennifer, and a brother Doug, with whom he fought incessantly as a child. Refusing to let his financially compromised position get in the way of his ambition, Revson found enough to buy a new Cooper Formula Junior and set off to Europe for the 1963 season. He bought a Thames bread van from Jack Brabham (top speed 48mph) and used it to tow the Junior all over the continent, by night sleeping in the back, by day racing some of the world’s greatest prospects, including Denny Hulme, Mike Spence and Jochen Rindt. 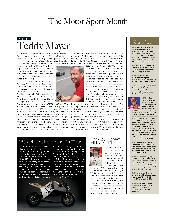 When back at base in London he shared a house with Amon and Mike Hailwood, in Ditton Road, Surbiton. Sadly but one of them remains. Peter was making his mark, so much so he was offered an F1 seat for 1964 by Reg Parnell. But Reg died over the winter and driving an uncompetitive Lotus 24 with few spare parts, the results were desultory. He would not race in F1 again for another seven seasons. Instead, and save one eyebrow-raising victory against a class field in the F3 support race to the 1965 Monaco Grand Prix in a Lotus 35, Revson turned predominantly to sports cars, racing a Brabham BT8 in the US in ’65 and a Ford GT40 in ’66. For ’67 he tackled Trans-Am in a Mercury Cougar winning twice, at Lime Rock and Bryar Park. He also almost lost his life while testing at Daytona when a puncture threw the GT40 into the air at 185mph. Both Ken Miles and Walt Hansgen had been killed in similar accidents the year before, but Revson stepped out unharmed, a newly fitted roll bar almost certainly saving his life, as it would for Mario Andretti at Le Mans a few weeks later. But there was real tragedy that season for the Revson family when Doug died in an F3 race in Denmark. If Peter thought of retiring, he kept it to himself. And better he did. 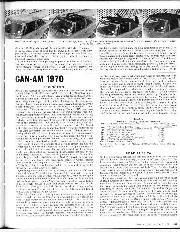 His 1969 Trans-Am efforts improved in a Ford Mustang, while in Can-Am his Lola T163 was probably the second-quickest car out there after the factory McLaren M8Bs. But in a third discipline, Revson started to show true promise. As he put it in Speed with Style: “An American driver of any stature doesn’t have much choice about Indianapolis; he has to be there.” And there he was at the flag in ’69, finishing fifth, driving a Brabham BT25. What the records show only with further investigation is that he’d started dead last in an uncompetitive car using an underpowered 4.2-litre Repco motor. Later in the season he won heat two of the Indy 200, the only time any Brabham would win an Indycar race. The 1970s dawned with Revson now in his 30s, when most racing drivers born for superstardom had already arrived. Peter was still trying. Despite racing in 24 events, once more wins eluded him. Worse, the credit for his greatest achievement of the season went to someone else. 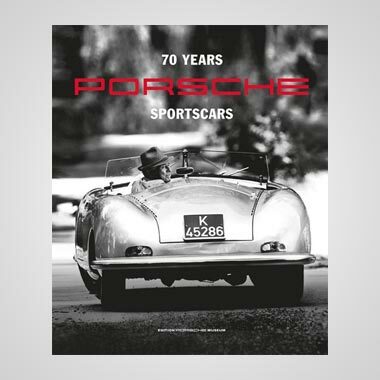 For the Sebring 12 Hours he shared a Porsche 908/2 with its owner, a very real superstar called Steve McQueen – and they damn near won. Uncharacteristically all the Porsche 917s wilted, leaving a dash to the flag between the last factory Ferrari 512S and the 908. Indeed the Ferrari only won because the Scuderia parachuted Mario Andretti into Giunti and Vaccarella’s car. At the flag the works Ferrari led the private Porsche home by 22sec and McQueen took the vast bulk of the credit, partly because he drove with his clutch foot in plaster but mainly because he was, well, Steve McQueen. The truth that Revson was massively faster and had done most of the driving escaped fans entirely. In fact the car came second despite and not because of McQueen. Had Revson shared with a driver of similar calibre, the Ferrari would never have got near them. Even Andretti was angered. “I loved and respected Peter and actually felt bad for him,” he said. “If anyone deserved to win that race, it was him. But Steve McQueen would have wrongly received all the accolades… He wasn’t anywhere near as quick as Peter. 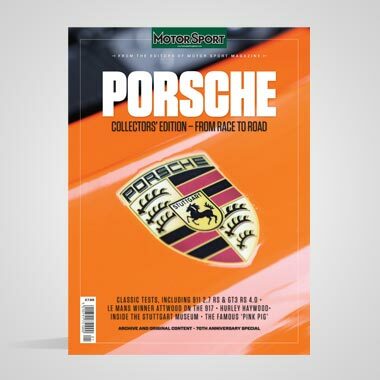 McQueen did the minimum amount of driving required in order to be classified, but Revson did the lion’s share.” Indeed, Andretti says the reason he was able to overhaul the Porsche at the end was Revson’s exhaustion at this punishing track. But it was in Can-Am that his career finally took off. Equipped with a works McLaren M8F, the results flowed. In 10 meetings he missed the podium twice, taking four wins and the championship, the first American to do so. He even returned to F1 briefly, as driver of a third Tyrrell at Watkins Glen, but retired on the first lap. But his achievements were enough to persuade Teddy Mayer that Peter deserved another shot at the top level. And so, aged 33 and with five world championship Grands Prix in eight seasons to his name, in 1972 Peter Revson became a McLaren Formula 1 driver. Not that he was quite there yet. Peter did well, especially since team-mate Denny Hulme was a former champion and a McLaren man through and through; but on the eight occasions where they both finished, Hulme was ahead on six. In qualifying it was closer and towards the end of the season he outqualified Hulme four times out of five, including a fine pole at Mosport Park. By the season’s end he was fifth, beaten only by three world champions and Jacky Ickx. No shame there. It is perhaps now worth reflecting on the workload Revson was prepared to shoulder. In 1972 he took on not only a full season of F1 but also drove an Alfa 33 prototype at Daytona, Sebring, Brands Hatch, Le Mans and Zeltweg. Then add nine Can-Am meetings requiring weekly commutes across the Atlantic and three Indycar rounds too, at Indianapolis, Pocono and Ontario. Such a schedule would have broken a cavalier dilettante. And so to 1973, Peter’s last full year. By his own admission he was not young any more and said he had at most three years to realise his dream of winning the F1 championship. And it was still a realistic aim for at the time he was four years younger than was Andretti when he won in 1978. But if he didn’t make it, he’d leave. His relationship with Mayer had been brittle at times and was now destabilised by the recruitment of Jody Scheckter as a third driver. The young South African was widely regarded as the hottest of hotshots and Revson feared his new rival would replace him. The season started poorly. In Argentina he came eighth while in Brazil his gearbox broke on lap three. But in South Africa he was second and only after, as he saw it, Stewart had gained an advantage by overtaking under yellows, a move JYS defends volubly to this day. Fourth in Spain in the all-new M23 was followed by spinning out at Zolder, whereafter he returned to the US only for his Indy 500 to end in the wall after just three laps. Still it wasn’t an entirely wasted journey. There he met Marji Wallace who would become Miss USA, Miss World and Peter Revson’s companion for the rest of his short life. The 500 meant he arrived late for Monaco and got just one day of practice, qualifying 15th and putting into perspective his eventual fifth place on a track where conventional wisdom says you cannot overtake. He was seventh in Sweden and was forced to miss the French GP because Mayer wanted him in the Pocono 500. None of which meant he arrived at Silverstone with great expectations. It is perhaps a shame that the 1973 British GP will always be remembered for the first-lap shunt that took out nine of the 30- strong field rather than for Revson’s first F1 success. After the restart Revson worked his way through the field to win a tight-fought contest. At the flag just 3.4sec separated Peter from a young lad in fourth place called James Hunt, driving a March 731 in only his third world championship GP. It had taken a decade, but Revson had arrived. Sadly the season soon turned sour. Fourth at Zandvoort in a race overshadowed by the death of Roger Williamson would seem a good result compared to ninth at the Nürburgring, but if Revson thought it couldn’t get worse he was wrong: in Austria a slipping clutch meant he was out before the start. But by then he already knew he’d not be figuring in McLaren’s plans for 1974. At Zandvoort, Mayer told Peter he’d need to look elsewhere. He was to be replaced by Emerson Fittipaldi, a champion who also came with money from Marlboro and Texaco. It would be he and not Revson who brought McLaren its first F1 championship in 1974. Revson was shattered, saying he felt like a “lame duck” and adding, “It’s hard to work toward the team’s goals, because I’ve been told I’m not part of the family any more.” But instead of dipping his head, Peter did what he always did best and tried harder. At Monza he was third, whereafter he received a call from Maranello. He was also being courted by Don Nichols at Shadow and others, so at least there was life beyond McLaren. The final two races of the season were dominated by contract negotiations. Even so, he won the Canadian GP although, thanks to his refusal to take praise where he did not feel it due, he was the first to give credit to Eppie Wietzes, the pace car driver who came out in front of the wrong car, denying Fittipaldi what Revson regarded as a certain victory. Then François Cevert died at Watkins Glen. In the race Revson’s clutch failed again, but he got the car going and managed to drag the M23 from dead last to fifth at the flag. Shortly after he travelled to Laguna Seca, met Don Nichols and signed for Shadow. Revson did so knowing 1974 was to be a year of transition, but he liked both Nichols and John Logan, the president of Universal Oil Products who sponsored the team. He qualified an encouraging fourth in Argentina in the new DN3, but tangled with Jean-Pierre Jarier’s DN1 on the first lap. In Brazil his engine overheated. 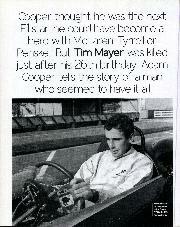 Then came Kyalami, and on March 22 the end of Peter Revson’s story. He had just celebrated his 35th birthday and, by any objective measure, was still getting better. I’ll leave the last words to the man who replaced him at McLaren. Speaking softly from America, recalling a memory that clearly affects him to this day, Emerson Fittipaldi told me, “Peter was such a credit to US motor racing. 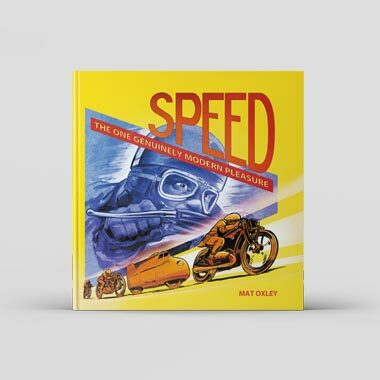 If you haven’t already, do get a copy of Speed with Style. It’s not an expensive book and you may share my view that it’s the greatest racing biography ever written. Even if you don’t, you will certainly understand the meaning of that title. This is not the story of a man laying claim to fabulous fashion sense as well as world-class pace. It speaks instead of how Peter Revson, although given all the resources to live the life of a cavalier trustafarian, instead elected to pursue his passion with courage, modesty and dignity, making up for a talent that wasn’t the greatest by trying harder than anyone else. 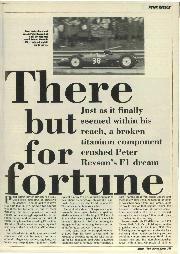 Read it and you’ll learn a lot about Peter Revson the racing driver, but a whole lot more about Peter Revson the man. And impressive though the former is, it is as the latter that he best deserves to be remembered.